The Internet of Things (IoT) is arguably the most revolutionary step within industrial progress since the development of computing technology. Not only has it changed the entire business network, but our understanding of social organization has been significantly altered. All individuals have the ability to share their ideas with the entire online community, and the traction of an idea is not necessarily limited by a content author’s authenticity. In fact, the IoT allows anyone to become the leader of a movement and to develop a strong reputation alongside the expansion of their idea itself. This is valuable to both the environmentalist trying to save the world’s ecology and the marketer trying to drive traffic to his or her business’s website. As businesses create new ways to take advantage of the Internet of Things, they encounter a greater need to understand how IT will support their online retail platform, customer and lead organization, content publishing, project collaboration, activity monitoring, and computer or device management. Smartphone devices allowed the IoT to become what it is today by giving users the ability to interact with the Internet at any moment in time, and it is this observation that demonstrates the importance of using mobile device technology to stay connected as a business. Ultimately, the IoT changes businesses’ approaches to operations by modifying the structure of their information systems and creating a demand for new IT solutions. Information technology is the foundation of the Internet of Things. Without communicating servers, systems, software and other tools, networks and computing devices would not be able to deliver the substance of the IoT. While it is certainly a fascinating to acknowledge how information technology has shaped IoT and made it possible, the IoT has consequently affected the information technology and systems of businesses. The Internet of Things has become a resource that cannot be ignored, and in fact, it is a business’s integration of their operations into the IoT that can play a role in determining achievement in their industry. The movement that is driving the growth of the IoT is content production and publishing. Content is constantly being shared, exchanged, and encountered, and businesses have become responsible for ensuring that they create content that will keep their product or service relevant. Their information system, therefore, must accommodate this responsibility. Businesses can utilize cloud services that allow them to manage their content in a single web application, and they can employ email services that integrate content sharing methods into their model. Regardless of the method, businesses are rewarded for using IT solutions in order to preserve their value in the world of the IoT. 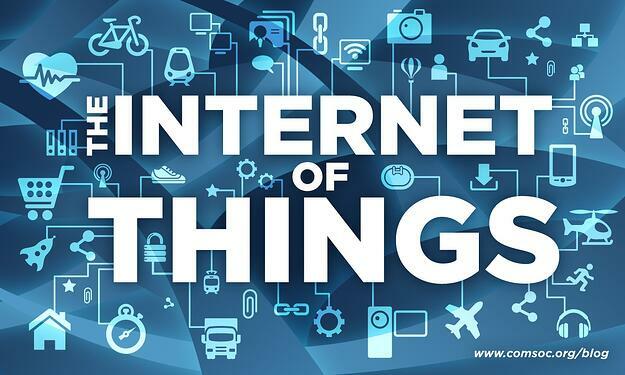 In addition to using information technology to contribute to the IoT conversation, businesses can take advantage of the large amount of data being exchanged on the Internet to become more effective marketers, operations strategists, online retailers, and industry leaders. This intention requires several IT solutions to be utilized. Data tracking software can provide a business with information regarding trends in consumer behavior or the technical performance of a web service. Additionally, businesses can take advantage of the IoT in order to simply monitor what is popular in their industry, or other industries, as well as to determine what kind of presence and image they want to have. These objectives may only require a device and a connection, but they can also lead to IT solutions that bring activity monitoring to one place using a web application or other service. Regardless, the IoT can be valuable to a business in many ways and utilizing information technology to harness that value will benefit any business operation. Similar to the way that smartphones contributed to the IoT’s development by allowing users to access the web at all times, the IoT has now inversely affected the way that smartphones are being used. The applications and services for mobile devices that facilitate interactions between users and the IoT can benefit a business in several ways. Employees can contribute to the Internet of Things by using mobile applications in order to participate in social media, upload content, and remain aware of what is popular. Smartphones also allow users to collect potential content by giving them the ability to take photographs, record videos, and log notes. In addition to contributing to the IoT, smartphones allow employee users to view and manage all information related to their business’s presence on the Internet. This includes activity monitoring, data and information observation, and content circulation. Mobile devices also allow for team collaboration so that content production and information management can be discussed and organized. Smartphones helped create the IoT as a business resource, and now smartphones have become a resource for business interactions with the IoT. The IoT has completely changed social interaction in all contexts. As these interactions include business’s attempts to contribute to the IoT, IT has changed as well in order to support the use of this resource. Business IT, however, is additionally affected by the IoT’s introduction of new security risks. This requires the implementation of preventative measures including employee education, software solutions, detailed policy, and other security tools. Although the IoT has united the online community, it has given cybercriminals a new method of attack using seemingly familiar content formats. Regardless, the Internet of Things is leading the collective human community in a unique direction. The amount of data constantly being generated is slowly being utilized to the point that we may be able to extract information that delivers unprecedented insight. As data is organized, stored, and queried, predictive analysis becomes more powerful. Using the correct information systems, disaster may become preventable. In terms of business, marketing may evolve to the point that offers can be delivered that will result in a sale nearly one hundred percent of the time. It is uncertain whether these types of Big Data applications will truly become a reality, but the Internet of Things makes these ideas far more realistic.